I should rephrase the question. Are we sure he ever actually lost his job? He was written out of this season’s final two episodes of “Empire” but was never dismissed from the cast as far as I know. 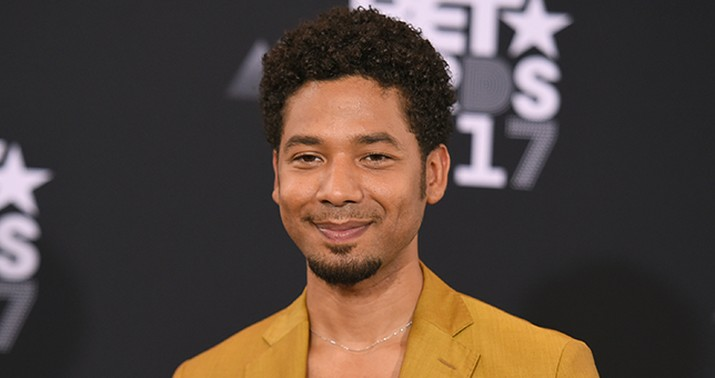 According to TV Line, producers “were said to be considering all options for next season — including potentially recasting Jamal [Smollett’s character] with a different actor.” Probably they were waiting to see how the criminal process played out. The more charges Smollett was convicted of — and he was facing 16 felonies related to false statements to investigators, remember — the less likely they’d be to keep him on, in all probability. And what if he pleaded guilty to only a few charges and received no jail time? That might have been a hard decision, with pro- and anti-Jussie fans among the show’s audience divided. Does that sound like a man who’s going to pay a professional price for this? “You reported a bunch of false information and never retracted it,” tweeted Johnson at a local Chicago reporter in Smollett’s defense. What false information? Rahm Emanuel, Chicago PD, even the D.A. who made the decision not to charge him all emphasized today that he hasn’t been exonerated. No one’s saying he didn’t do it. The excuse for not charging him is that prosecutors there have much better things to do with their time than pursue a nonviolent offense that might have required a lengthy trial if Smollett had refused to cop a plea. Which, for all intents and purposes, means that hate-crime hoaxes are now legal in the city of Chicago. They could have offered Smollett a deal in which he’d plead to one or two counts of disorderly conduct, receive probation, and move on with his life. At least make him admit guilt, if only to serve notice that similar hoaxes won’t be tolerated. If he refused to cop a plea because maintaining his innocence was simply that important to him professionally, then they’d have no choice but to call his bluff and go to trial. Chicago police seemed supremely confident that the evidence would support a conviction. In a case this prominent, with a defendant who embarrassed the city, wasted the time of PD, and made it harder for real victims of hate crimes to be taken seriously, you cannot decline to penalize him. And yet they did. Now it seems that he won’t lose his job either. A Twitter pal noted this morning that critics of the decision to drop the charges can at least be happy that Smollett has paid a price career-wise, having lost his “Empire” gig. But he hasn’t lost it, it seems; if anything, he’s much more famous now than he was before this incident. Given that he wasn’t actually convicted of anything, I’m not sure producers would even be able to dismiss him legally for all the bad PR he’s caused (assuming he’s still under contract). How can you fire someone who’s merely been accused of a crime but not convicted — even when all the relevant authorities are assuring you he’s guilty? If they fired him now, Smollett might be able to sue them for termination without cause.